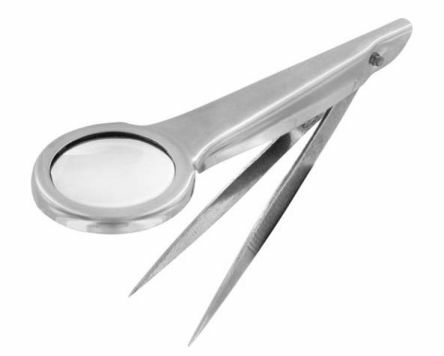 We offer hundreds of items and accessories in our magnifying equipment range, which includes products from industry-leading brands such as Luxo, Mitutoyo, Eschenbach, plus our high-quality own brand RS PRO. Magnification is the process of enlarging or magnifying the apparent size of an object or specimen, but not the physical size. This means an object appears bigger when being looked at through the lens of a magnifying instrument, for example a magnifying glass or microscope. The enlargement is calculated using numbers and measured in multiples. For instance, it can be measured in 2x, 4x or 10x – this indicates the object is enlarged to twice as big, four times as big or 10 times as big. Not only does magnifying equipment make objects appear bigger, it also increases the amount of detail that can be seen, which is known as the resolution. Thanks to their ability to increase the amount of detail that can be seen through the human eye, magnifiers are one of the most widely used tools in the science industry. Any form of testing, measuring and monitoring is vital, and this includes magnifying. Precise measurement is essential because any errors can prove costly, and so trusted measurement means manufacturers save time and money, as well as improve the quality of their products. 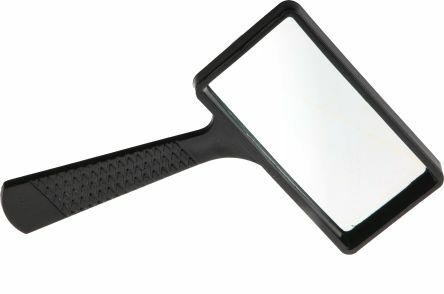 Headband magnifiers – allow users to see through a magnifying glass while keeping both hands free. Microscopes – these portable tools enable users to see objects which are too small to view with the human eye, by magnifying them to hundreds or thousands of times their original size. 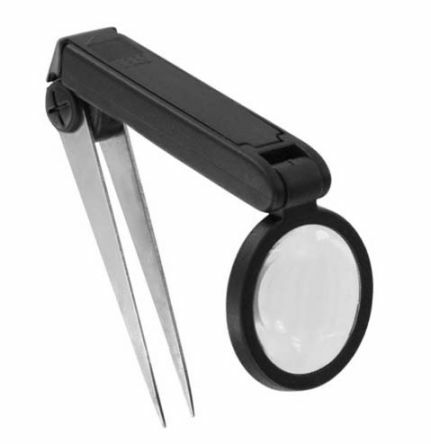 Surface contact magnifiers/loupes – these are designed for reading text, with the instrument used in direct contact with the surface being read. Accessories – theres a wide choice of complementary products designed to support and enhance magnification equipment, including stands, cameras and lights. 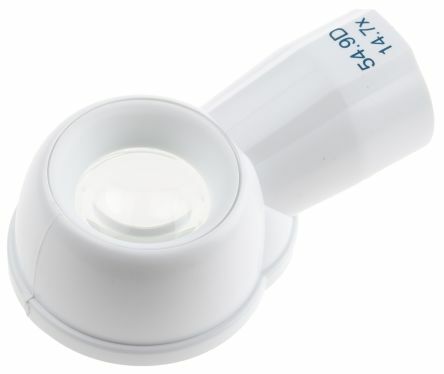 An illuminated magnifier handle and a choice of lens powers. Handles and lenses sold separately. Ergonomic handle, simple to use switch, easy to change batteries and bulb (Tungsten 2.5V 250mA)Requires 2 x C cells. Hand-held magnifiers utilising lenses manufactured from polymethyl acrylate with a duplex hardened coating making them durable, antistatic and scratch resistant. The aspheric lenses have minimal distortion and are ideally suited for component inspection and laboratory use.